There are plenty of romantic restaurants in Providence, but there are also a handful run by couples. Check out these great spots run by perfect pairs. A past James Beard nominee for both food and service, Persimmon (99 Hope Street) excels on all fronts. 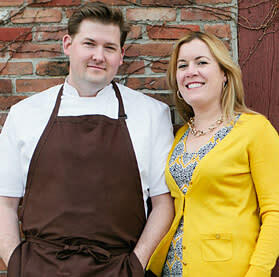 Executive Chef Champe Speidel and his wife Lisa have created a space and a menu that is imaginative without ever being stuffy. Try to grab a spot at the little bar that overlooks the kitchen and watch the couple at work. Bonus points if you spot their adorable son Thatcher. A cozy classic, Chez Pascal (960 Hope Street) delights. Its menu satisfies carnivores and vegetarians equally well, which is a rare feat. 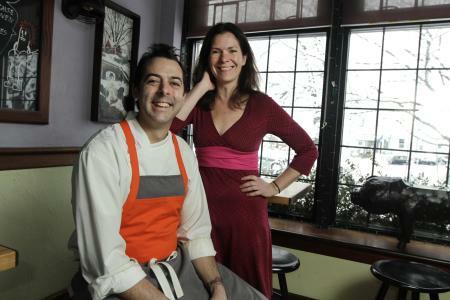 Kristin and Matt Gennuso meticulously craft an experience that adheres to French tradition yet uses local ingredients. Looking for something a little more casual? Check out their Wurst Kitchen, a small open kitchen with sausages and cured meats. Husband and wife duo Tom and Natalie Dennen run Bayberry Beer Hall (381 W. Fountain St), a unique Germany-style beer hall. Tom, inspired by an authentic biergarten in Munich, wanted to bring that feel back to the states. While Bayberry gives a nod to a traditional German biergarten with its decor, and beer and food menus, it is at heart an American beer hall. 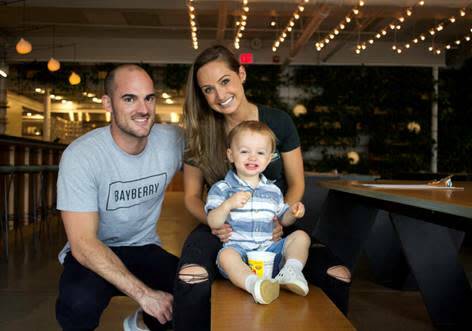 Bayberry uses local ingredients and works with local craft brewers to bring the best of New England to you. Since Valentine’s Day is during the week this year, you can celebrate by dining on the actual day or on the weekend. Just be sure to make reservations, as most Providence restaurants fill up fast.